I ACHED for this book as soon as my eyes landed on the cover back in June (or perhaps July?). Not to mention that Sarah J. Maas highly approved of it with a quote on the cover. I just knew I had to get my hands on this one, no matter what (*insert 6 month montage here of me desperately scouring the #booksfortrade tag on Twitter until someone took pity on me and got a trade set up). So! 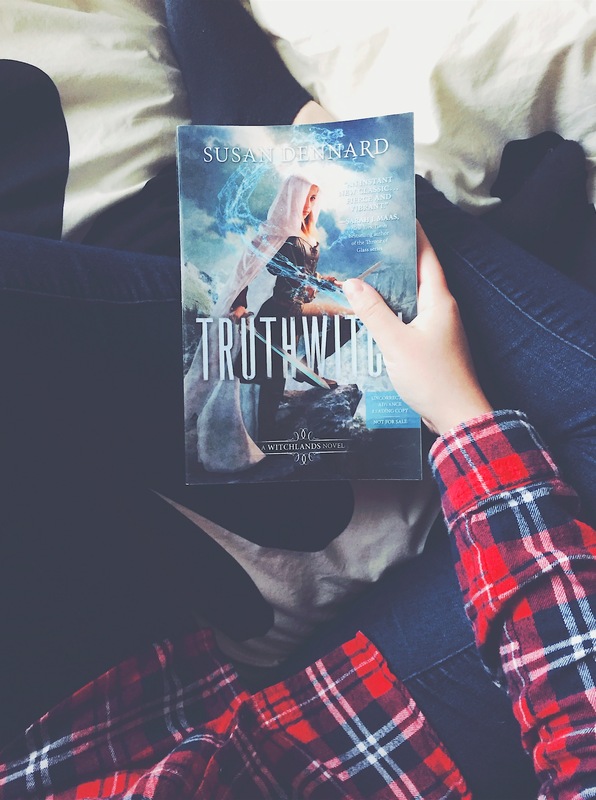 I sat down and began to read Truthwitch to my little heart’s content and I really started to enjoy it. 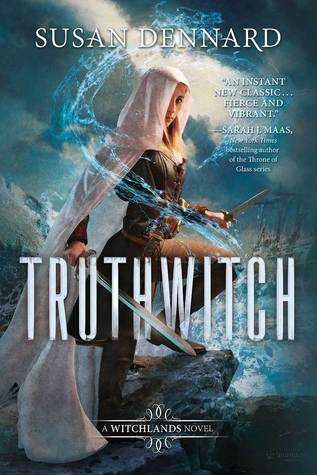 I love books that get off the ground and start running at hell-bent speeds, and Truthwitch never seemed to slow down. It was go go go from beginning to end and I really needed a book like that after having been in a book slump for quite some time. Not to mention it was just so much more fun to read that way. Tons of action, constant turns of events, and lot’s of exposure to different parts of this Witchlands world. I really enjoyed both Safi and Iseult’s characters. Their friendship is #goals and I was super jealous. Plus, they can kill annoying dudes together. Who wouldn’t want to do that with their best friend? *fist pump* Feminsim! Anyway, the way they interact is super awesome too because they weren’t involved in a) some stupid love triangle or b) fighting each other over anything. If books had a Bechdel test, this one would pass with flying colors. We can’t completely write off the boys though. Merik and even Auedan (I’m assuming) are hotties. I was really drawn to Auedan’s character in particular. Clearly I have a thing for damaged male protagonists (hello, Bucky Barnes anyone?). It will be interesting to see how both of these characters grow and expand over the next few books. I think the part of Truthwitch I enjoyed the most though was the last 60 pages or so. Things felt as if they were coming to a nice neat conclusion (HAHAHA YEAH RIGHT. That cliffhanger) and I felt a real connection with the characters now that I knew who they were and their motivations were starting to become clearer. And then of course, all good things most come to an end and we are left with a cliffhanger of sorts. I REALLY want to get my hands on the next book and find out what is going to happen next! I’m also eagerly awaiting what the publishers are going to come up with for the next cover, because I’m hoping it will be just as gorgeous and photogenic as this one! 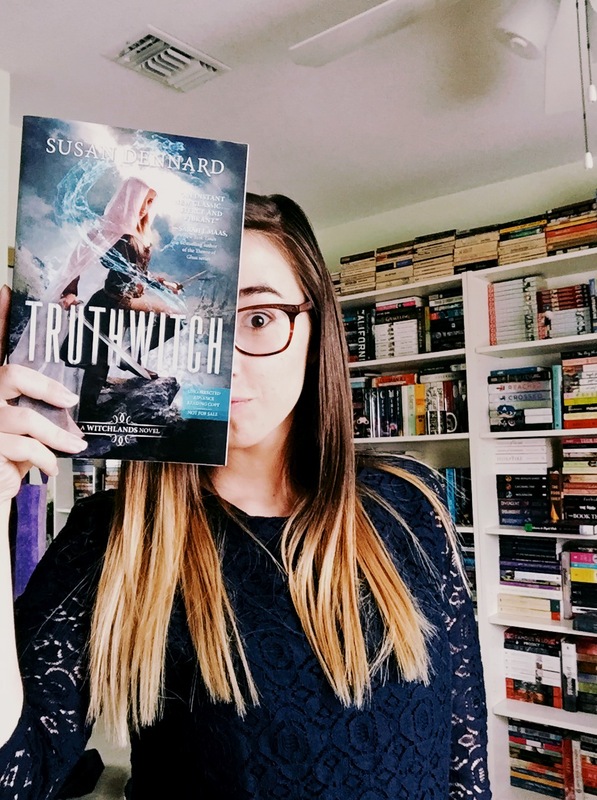 I’ve seen Truthwitch pop up on a lot of Twitter feeds lately, but I have to admit, your review is the first I’ve read. And basically…I WANT TO READ THIS BOOK SO BADLY! I mean, it’s an interesting concept, but what really piques my interest? The strong female friendship that apparently takes center stage in this book. We need more books like that! I COULD NOT AGREE MORE. My middle school YA reading days were full of dumb books about girls being catty with one and other, so it’s so refreshing to see actual strong bonds/friendships. You should DEFINITELY check it out (*whispers* though I don’t think it lives up quite to the hype that Twitter is showering upon it)!